Creativity is seldom tidy. 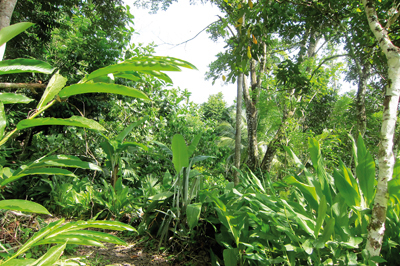 When arriving at the Maya Mountain Research Farm (MMRF) in southern Belize, you can't help but be overwhelmed by the riot of green and volume of life that is present. 'Abundant' isn't adjective enough. 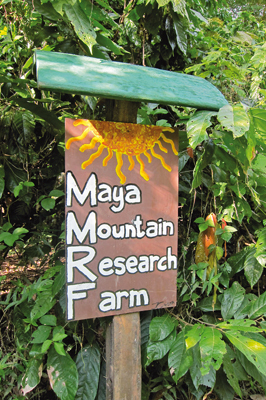 Arrival is either by trail or river - there's no road - giving the location of MMRF, at the foot of the Maya Mountains, an equally magical and rewarding setting. Walking up the steep path from the river, it's clear that what was once a citrus and cattle farm is now an exemplary case study in land restoration. The large presence of and equally sizeable beard belonging to founder Chris Nesbitt seems to mirror this. 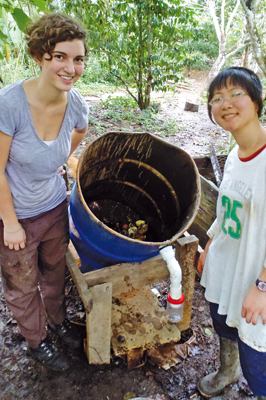 MMRF is a living laboratory of permaculture as sustainable agriculture, permaculture as food security and permaculture as a way of shaping the world. Functioning chiefly as an education centre, MMRF hosts popular permaculture design courses led by such luminaries as Albert Bates and Toby Hemenway alongside welcoming local farmers and a busy roster of interns. A native New Yorker, Chris left the city at the tender age of 22, swapping a job as a cycle courier for one as a permaculture pioneer. The extent of his prodigious knowledge is overwhelming. What would look like a dense thicket of shrubs and trees to most is, to Chris, a multi-functional matrix of species. As we amble along the path Chris freely names â€“ in both Latin and common parlance - the surrounding vegetation: breadnut, breadfruit, guava, coconuts, bananas, avocados, pineapple, jackass bitters, rare cacao cultivars, sandalwood, coffee and teak (Tectona grandis) to name just a few. Passing the piggery, designed by UK-based Kevin Mascarenhas, Chris talks excitedly about his pigs and their place in a permaculture ecology. Continuing our way up we settle in the cornfield overlooking the valley. Corn is a hugely important plant in ancient Mayan culture and cosmology and retains its importance today. 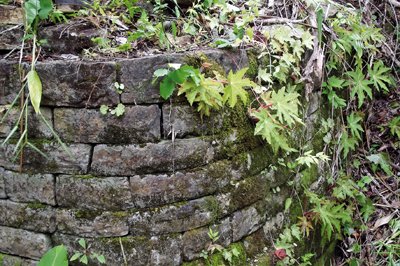 Ancient ruins surround us; Maya Mountain borders Lubaantun, a notable archaeological site. This proximity sets the tone for our conversation. How did a unique and enigmatic civilisation disappear? The Maya ruins are a cautionary tale for modern humans. They went the way of most fallen civilisations: cannibalising the future for short-term gains, they exceeded their carrying capacity and collapsed. At 25 Chris embarked on a permaculture design course, realising that the cattle and citrus farm - 'the green desert' - was in need of something else. It 'changed everything', he explains in his characteristic patter of stock American phrases and techno-geekery precision. "I knew enough to know I didn't know enough to do anything without spinning my tyres." Soon after the course he started thinking: "What would be here if we weren't here? The rainforest became the model to aspire to." One of the leading causes of deforestation in the surrounding area is, ironically, corn growing where the reductionist logic of agrochemicals seems to have taken a grip on the farmers. "It's sneaky... as it means thousands of years of agroecological knowledge has been discarded because we have cheap oil. We're in danger of losing this knowledge." And this is why MMRF is so important as a demonstration site. Inviting local farmers he describes how "... they walk around and 'get it', especially the younger ones. Their visual literacy is so much better. That's how we'll get people to grow trees." And the exchange isn't merely a visual feast. 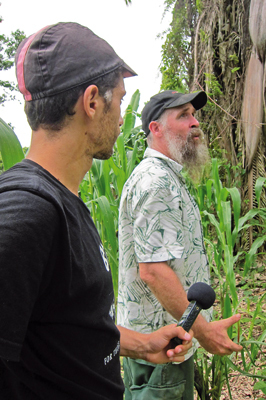 the varieties of coconut and rare cacao cultivars that Chris raises, and in turn shares with other farmers, are protected from the devastation of diseases and land misuse. This habit and culture of exchange works to stem what environmental activist and anti-globalisation author Vandana Shiva would identify as 'monocultures of the mind'. With my permaculture goggles on, this neatly syncs the ethics of earth care and people care. 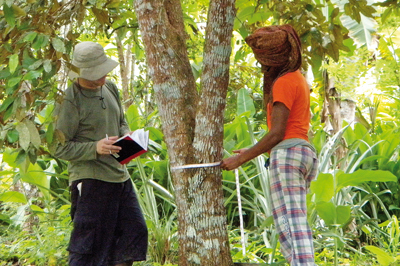 In over 20 years, MMRF's agroforestry system has reached a level of maturity where fuel, timber, food and marketable crops such as cacao and vanilla are provided with a minimum amount of maintenance and thus energy from human hands. As Dave Jacke and Eric Toensmeier say in their masterful Edible Forest Gardens books, "... it's not gardening in the forest, it's gardening like the forest". to be stored in plant biomass as well as below the soil surface. Managing agricultural landscapes with conservation and sustainable production counters the slash-and-burn culture that is deeply held in the Americas. After Hurricane Mitch in 1998, a study of smallholders in Nicaragua established that farming done with agroecology - in the form of the ancient Quezungal farming system - had, on average, 40% more topsoil, higher moisture retention and less erosion. These smallholdings were also not as heavily hit economically as conventional farms. Promoting ecologically sound management practices is also a boon to wildlife. It is so successful that the RSPB has visited and Chris confidently claims that more species of birds can be seen at MMRF than at the nearby Columbia Forest Reserve, for which MMRF acts as an invaluable wildlife corridor. The transition from damaged land to agroforestry stands in stark contrast to the environmental cost of mono-crop agriculture in the surrounding area. Clearing land - often by burning - affords a corn farmer maybe three to five years of production. 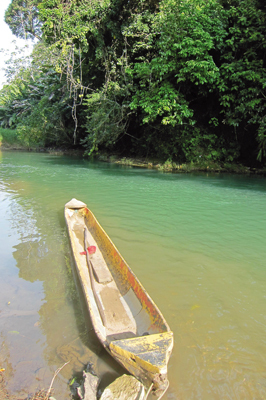 Recovering fertility in the area around the Maya Mountains can take from 12 to 15 years. With growing populations placing increasing pressure on land, its productive life is often shortened. The land gets stressed, so new pastures are sought. The agroforestry system -restorative and resplendent - plays the long game. Guided by human hands, the arboreal architecture is crafted with time and care. "The energy returned on energy invested is off the charts. What we're looking at is the equivalent of a biological flywheel," enthuses Chris as I follow the arc of his sweeping arm gesture; in his other hand he holds a bucket of breadnut fruit for his beloved pigs. "In an ecosystem this is known as 'snapping' - when an area reaches an equilibrium and little to no maintenance is needed." This equilibrium means that Chris is able to invest in other projects. A self-taught solar power expert, he has worked with various communities and schools installing solar systems. 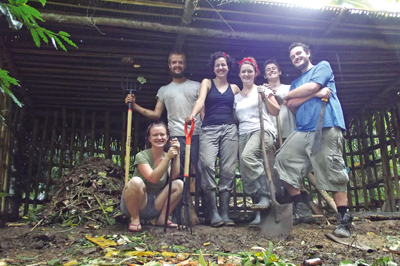 Surplus food from the farm is given to a feeding programme for the elderly in nearby Punta Gorda, and the openness with which interns and guests are received means many get to see permaculture in action. 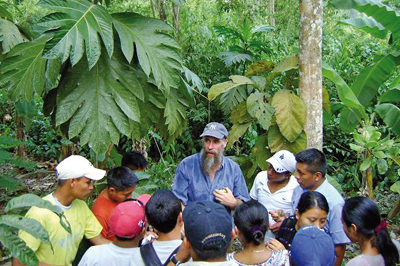 Bill Mollison, considered to be the 'father of permaculture', quipped that "everything gardens" when he described how permaculture works in the real world. This certainly rings true in the case of MMRF. And what a delightful garden it is.